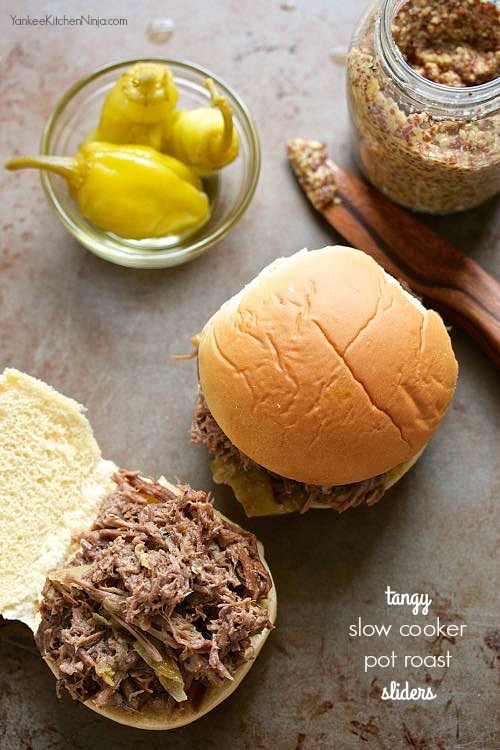 And since I'm not all about a sit-down Sunday dinner over a big roast, I turned this into fun little sliders, perfect for an easy weeknight dinner. Plus, this recipe yields a TON of meat, so you can freeze a big container of it for another easy weeknight meal later in the month. Win win! 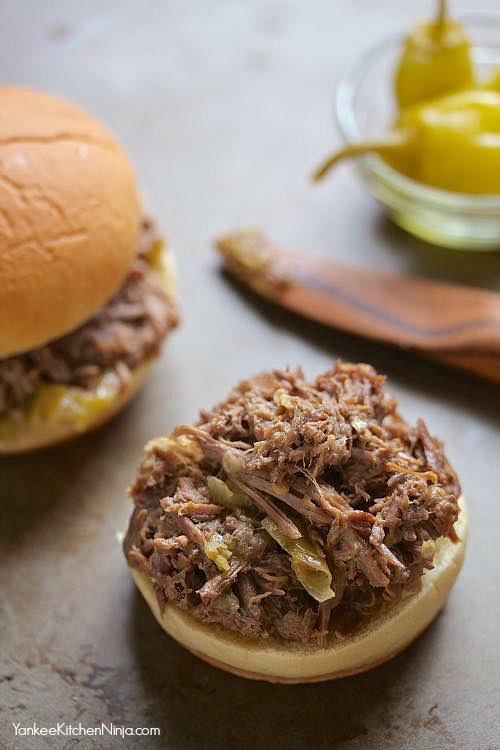 Generally we just eat these pot roast sliders unadorned, but you can top yours with some cabbage leaves and mustard, a drizzle of homemade ranch dressing or some additional chopped pepperoncini for even more of that tangy kick. 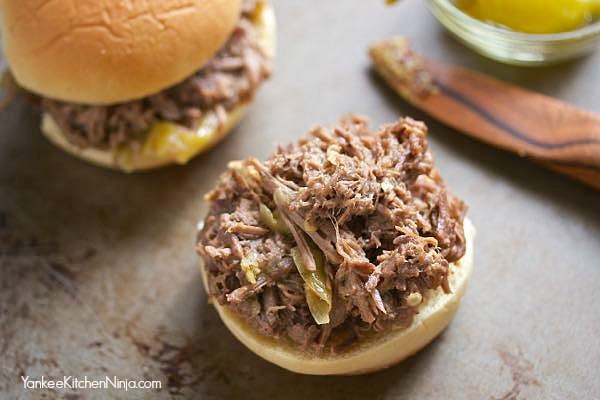 Have you cooked a roast in your slow cooker? What's your favorite way to season it? Leave a comment: The Ninj wants to know. Rub the roast all over with salt and pepper and place in the crock of a large slow cooker coated with cooking spray. Add the butter, olive oil and pepperoncini to the crock, surrounding the meat. In a small bowl, whisk together the remaining ingredients (mayonnaise through flour) and add to the crock, pouring a little on top of the roast and the rest into the crock. Cover and cook on LOW for about 6-8 hours (if you're around, about halfway through the cooking time, use tongs or two fork to carefully flip the meat over and baste it with the cooking liquid). Using two forks, shred the meat into the liquid. Serve on slider buns.